Another of my husband’s favorites for dinner tonight. 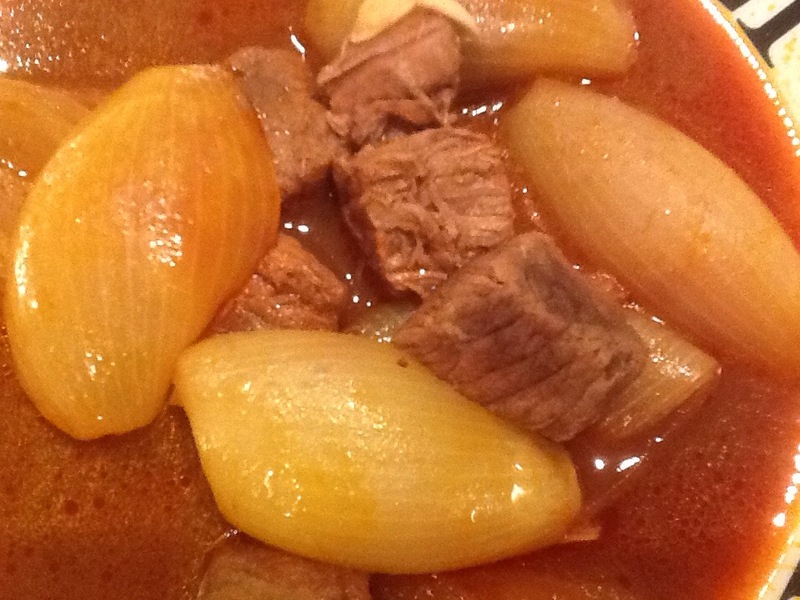 Stefado (Hunter’s Stew) is a chilly weather dish that hits all the right notes. Best when made with game meat like venison, rabbit or even lamb, stefado is also wonderful when made with beef. Cubes of meat are browned in butter. (Let the butter brown in the pan a little before adding the meat for best flavor.) Add salt, pepper, 2 bay leaves, 1 clove crushed garlic, 1/2 stick cinnamon, 1/2 cup red wine vinegar, 1/4 cup red wine, 1/2 small can of tomato paste and add 2cups of water (or more depending on size of pan). 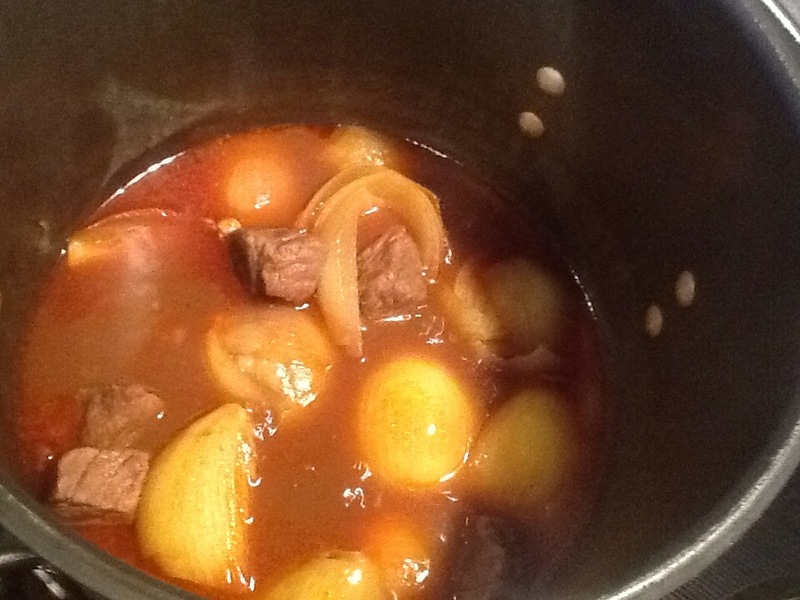 Simmer on medium low for 2 hours and add 6 small sweet onions halved or 15-20 pearl onions. Cook for an additional 30-40 minutes or until onions are tender. 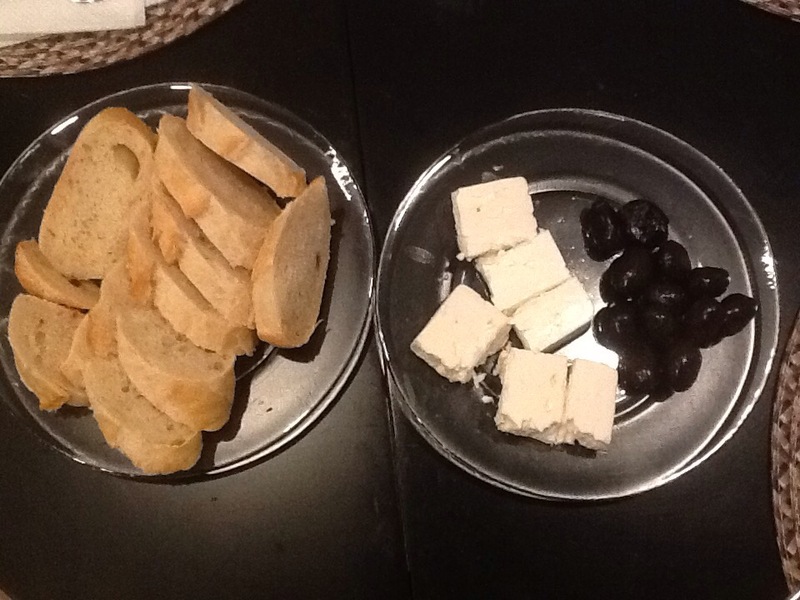 Serve with crusty bread (if you’re not gluten free) some good cheese (feta please) and greek olives. Next Next post: Dusk sunset….